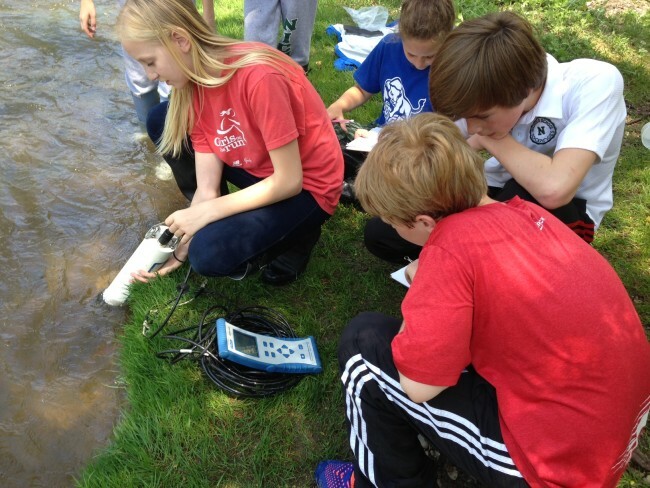 Erie, Pa. students stencil storm drain message. 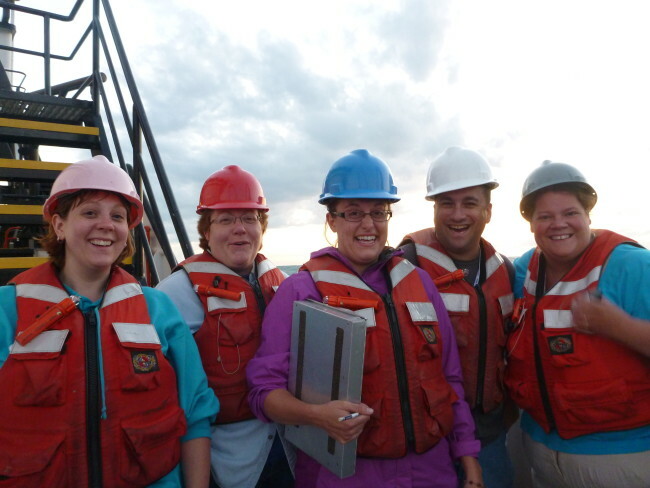 Educators and researchers on Lake Ontario, 2013. 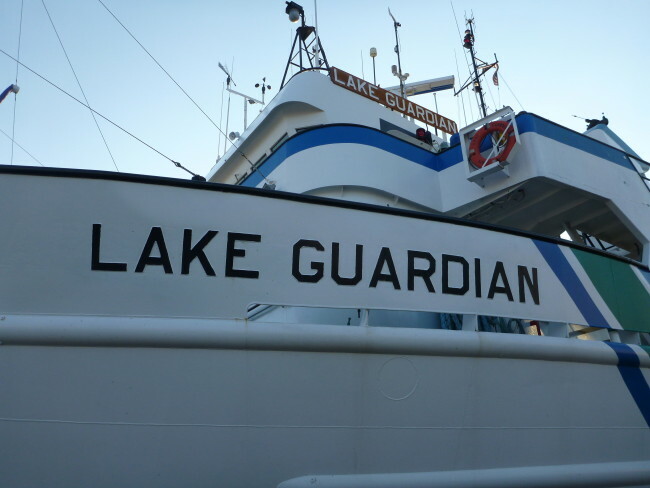 Lake Guardian, carrying researchers and educators into the Great Lakes. 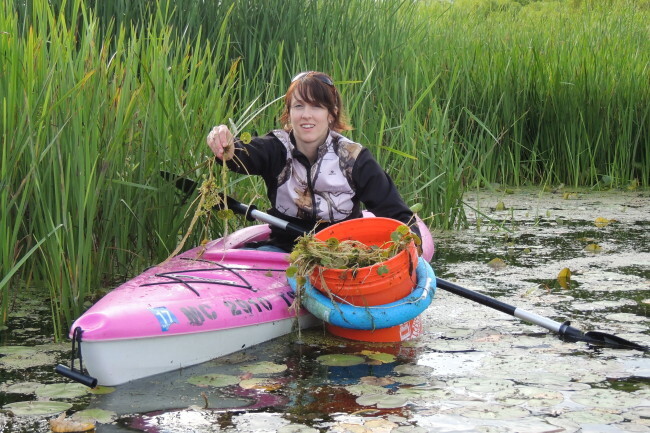 Educators learn about watersheds by kayak while practicing aquatic stewardship service, removing invasive European Frogbit. 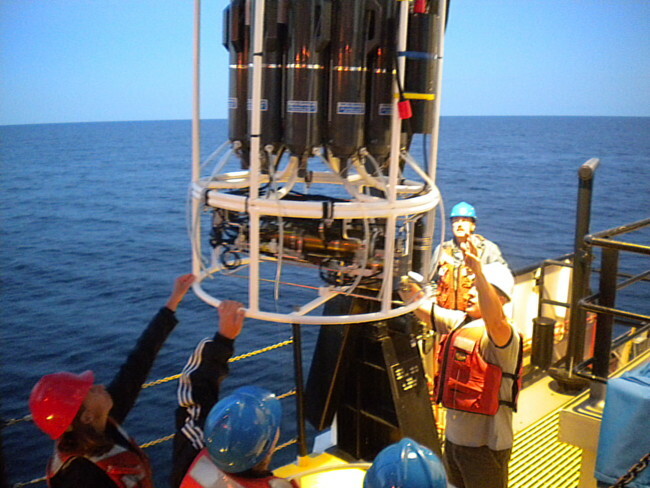 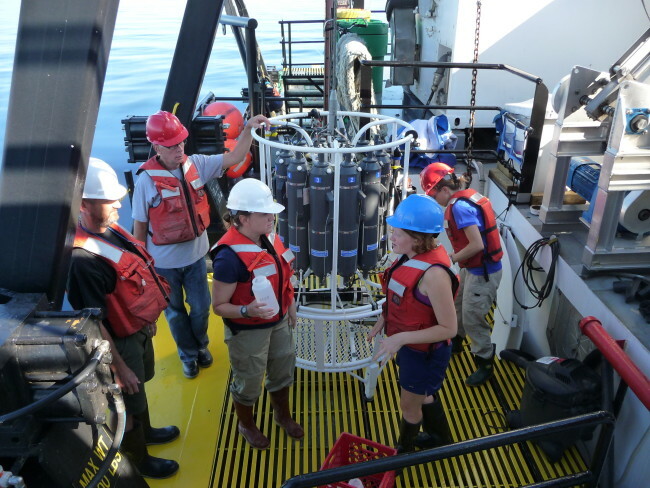 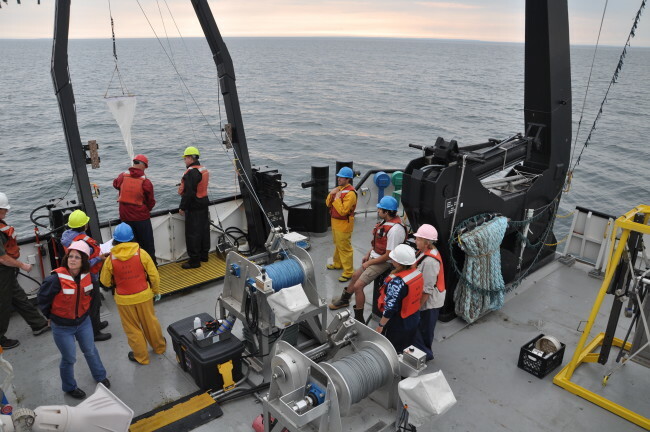 Preparing to deploy rosette sampler, gear used in collecting multiple water samples at deep depths. 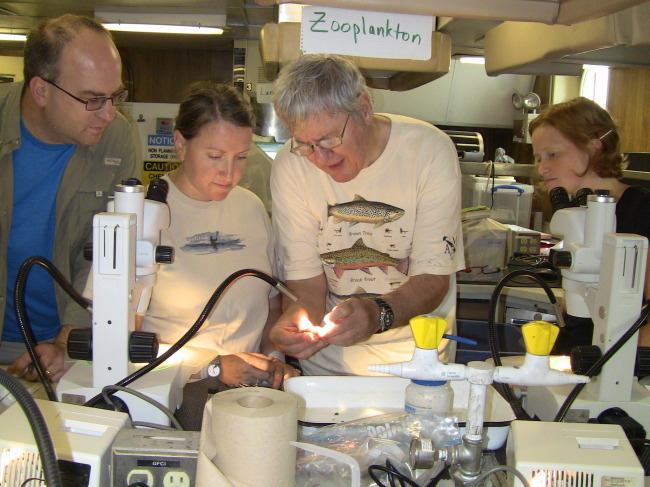 Joel Hoffman (EPA) and educators admire walleyes caught in the bottom trawl. 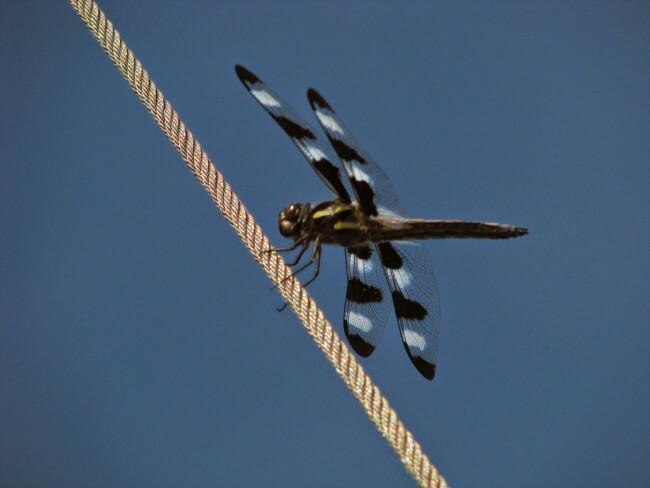 A dragonfly catches a ride on the R/V Lake Guardian on Lake Superior. 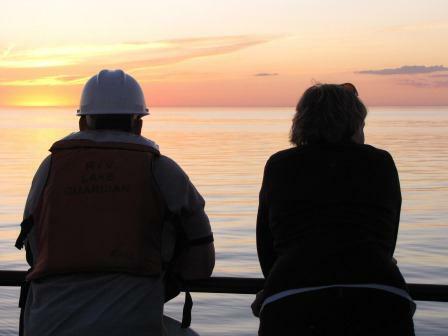 Sunset from the deck of the Lake Guardian. 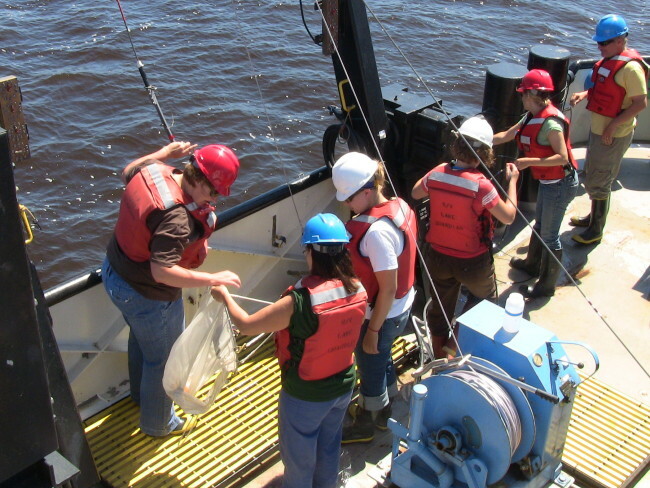 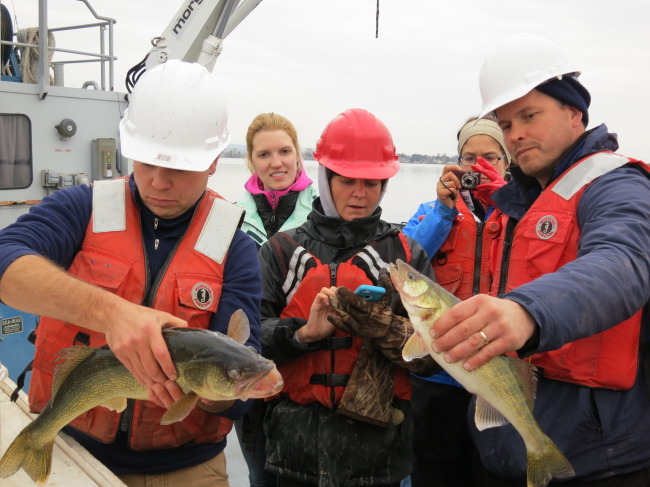 Educators and researchers help deploy the sondes used to gather water quality data from the Great Lakes. 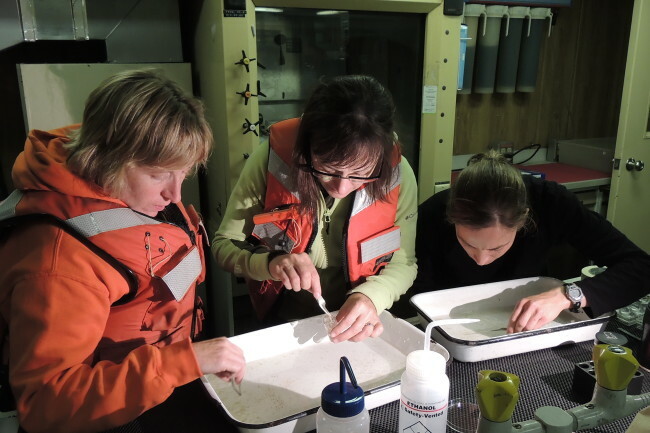 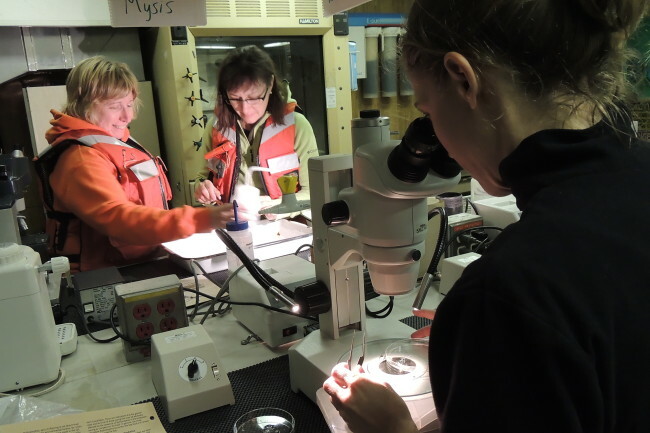 Educators working up samples with Dr. Jude on Lake Huron in 2013. 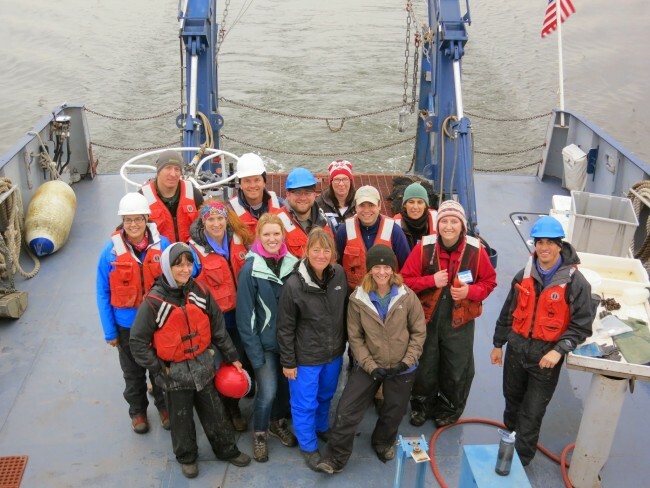 Joel Hoffman (second row, third from right) poses with his research team of educators. 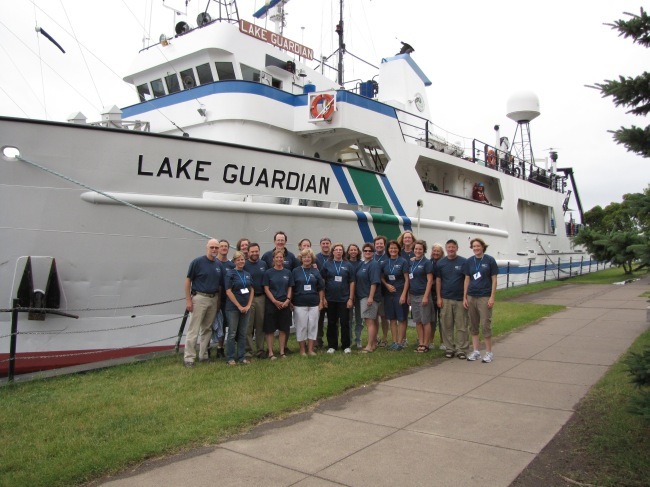 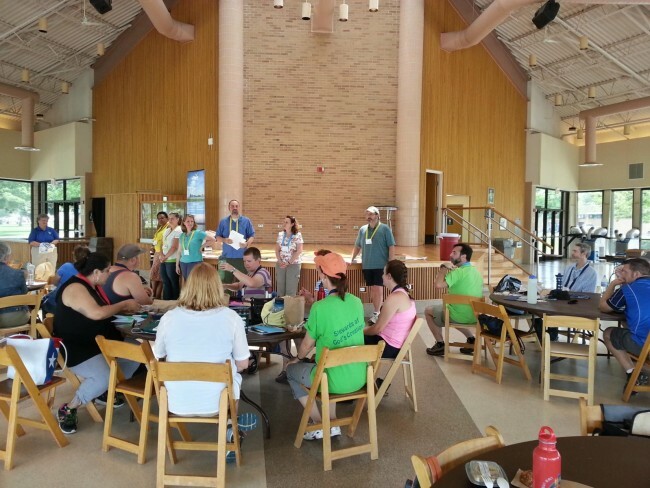 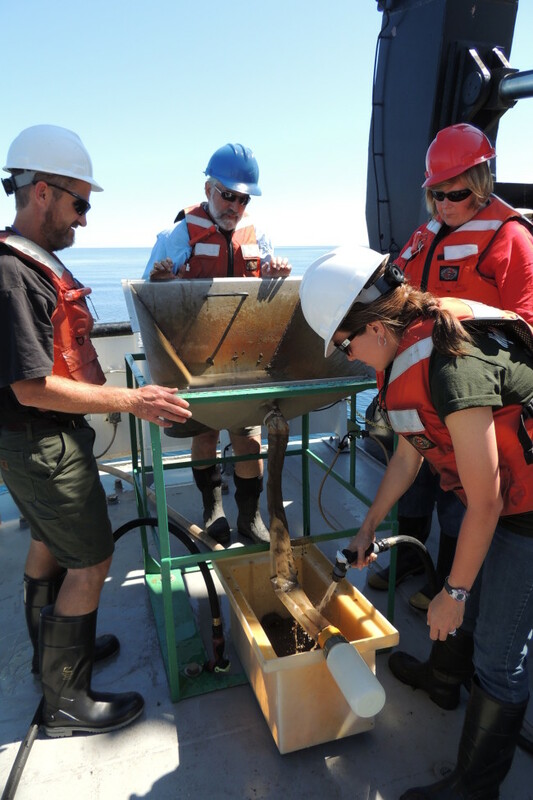 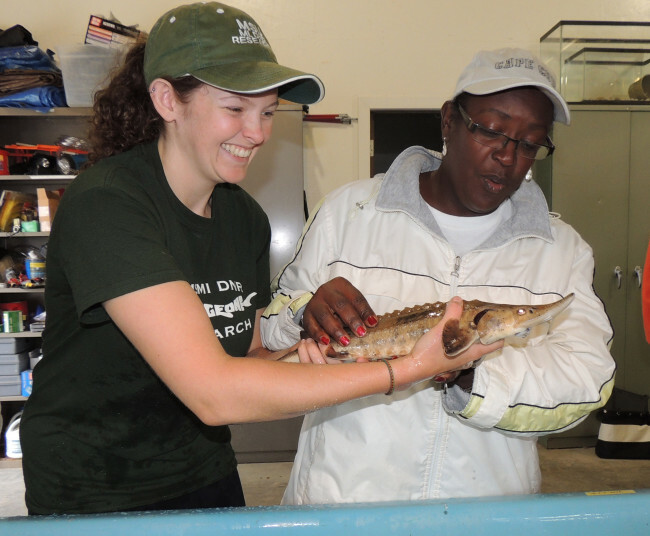 Educators and researchers collaborate on the Lake Guardian. 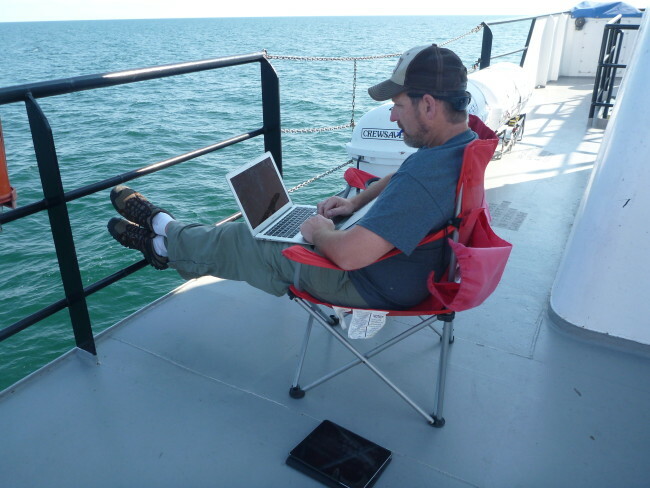 Data crunching or curriculum building is always better with a view of the lake. 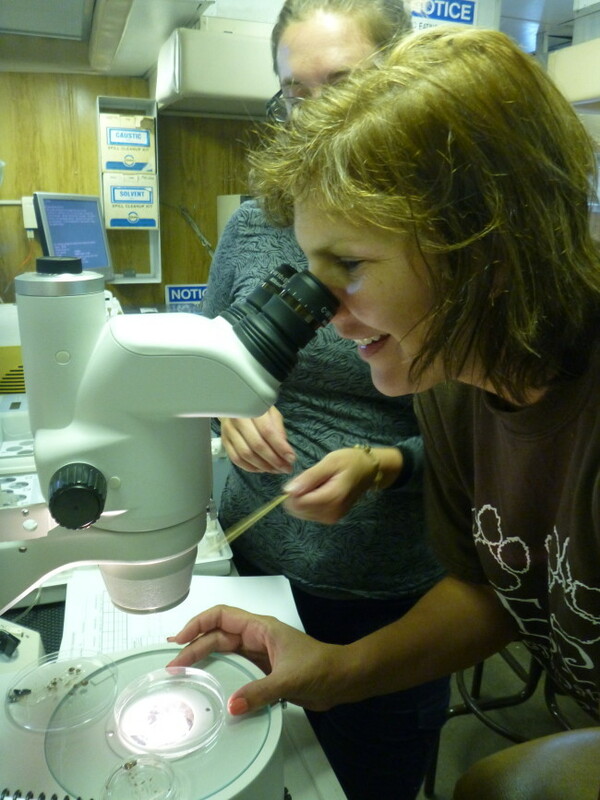 Educators identify macroinvertebrates and other aquatic organisms gathered from the Lake Guardian. 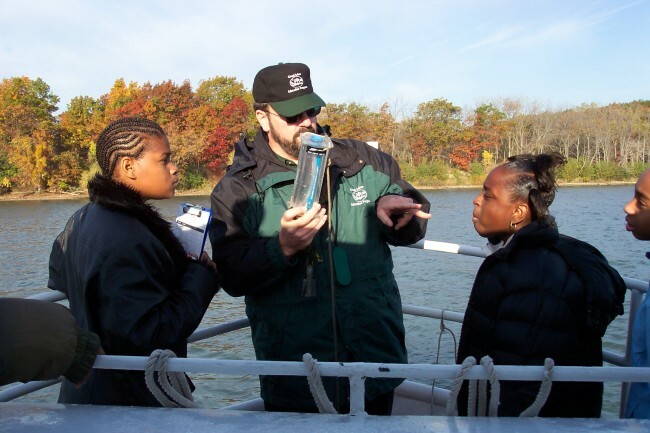 Students use a hydrolab sonde to check water quality. 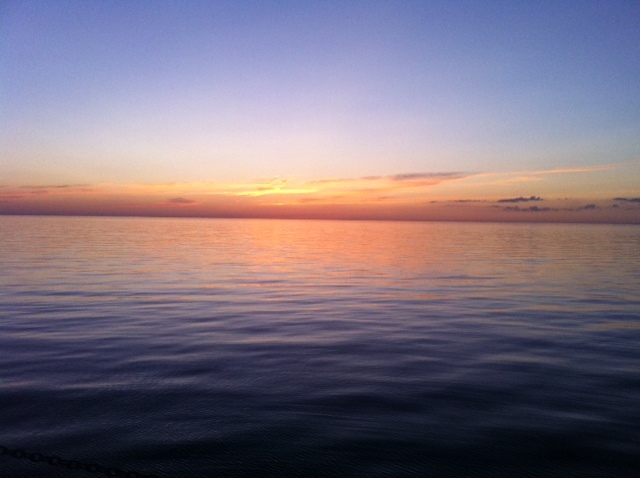 Sunset, from the deck of the Lake Guardian. 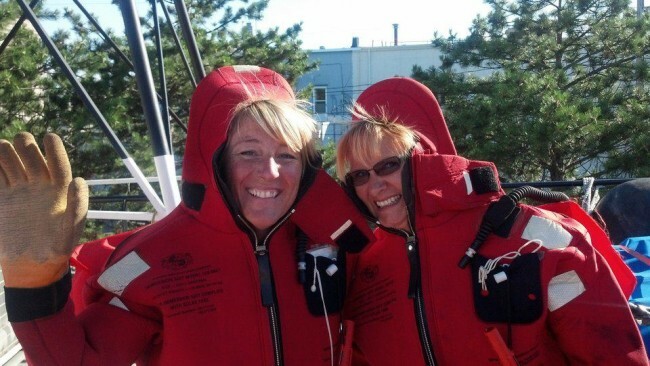 Educators experience a survival suit, designed for keeping someone alive in cold water.